The Sam Johnson Vietnam Archive at Texas Tech University collects all original documents and memorabilia related to the Vietnam War and the collective experience of those involved in the war and its aftermath. The archive preserves this material in a state-of-the-art-facility located on the campus of Texas Tech University. Along with the Vietnam Center, we encourage the dissemination of information from the archive to all who are interested in learning more about this critical time in United States history, and promote the study and understanding of the Vietnam War as well as the nations and history of Southeast Asia. In an effort to preserve the history of this Twentieth Century milestone for future generations, we collect materials related to the experience of people involved in the wars in Southeast Asia. 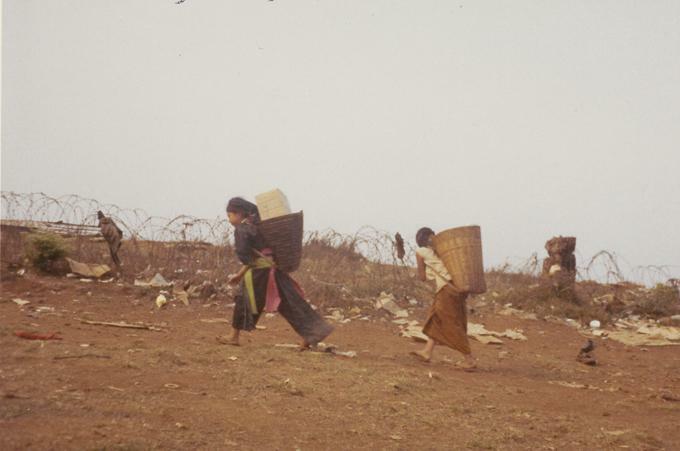 In addition to collecting materials related to the American experience in Vietnam, Thailand, Laos, and Cambodia, the archive also collects materials related to the North and South Vietnamese perspectives, as well as the perspectives of allies who fought alongside each nation. While much attention is given to the military and diplomatic aspects of the war, we also strive to preserve the records of people indirectly involved in the conflict and those active on the home front, including family members of soldiers and pro-war and anti-war advocates. The Sam Johnson Vietnam Archive accepts donations as small as a single item or as large as hundreds of boxes. Donations do not have to be organized, and do not have to pertain to a famous person, event, or organization. We accept all forms of original material, including papers, books, films, audiotapes, photographs, slides, negatives, artifacts, and maps. Donated materials do not circulate to ensure that the materials can be preserved for future generations. If you are interested in donating items to the archive, please contact us through our donations contact form, email vnca@ttu.edu, or postal mail. If you have a large number of items to donate, please contact us to make arrangements concerning delivery of the materials to us. When we receive the material, they will be accessioned, and you will receive a letter and deed of gift. "What will happen to my stuff?" After receiving a signed deed of gift, archive staff will then process the materials. This includes light preservation treatment, housing the materials in acid-free sleeves, folders, and boxes, as well as any necessary conservation work required to extend the life of the material. After the collection is processed, a finding aid will be created. This finding aid is an inventory of the contents of the collection and usually includes a brief overview of the collection and information about the donor. The finding aid is used to help researchers find information that may be located within your materials. The materials will then be housed in a climate-controlled environment designed to extend the life of the materials. Researchers are then able to view the materials in our secure Reading Room. No materials leave the building after they arrive. With a donor's permission, all non-copyright items will be scanned and added to our Virtual Vietnam Archive. Access to the Virtual Archive is free and allows anyone with Internet access to search and view material in the Vietnam Archive. "Where is my stuff now?" If you have already donated materials to the Vietnam Archive and would like to see if they are available online, please try our browse the collections page. Collections are listed alphabetically by last name. Once you find your collection, click the icon to open the finding aid. If any materials in your collection have been digitized, links to these materials will be available near the bottom of the page. 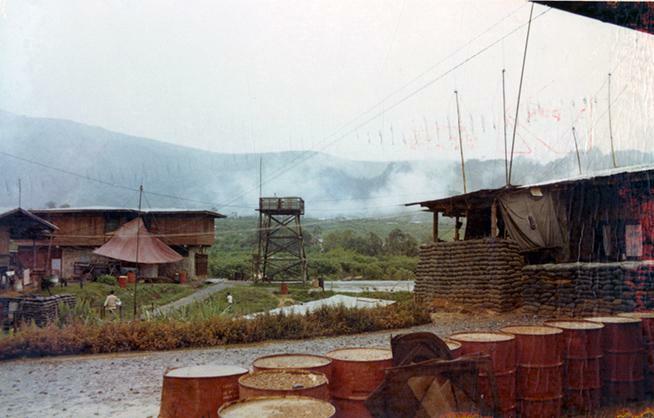 Go to the Virtual Vietnam Archive Entry Page. Click "Search the Virtual Vietnam Archive" in the left column. On the Quick Search page, click "Advanced Search" in the left column. Enter your last name in the "Collection Name" field. Click "Start Search" in the left column. If your materials have been processed you should have at least 1 hit (the collection finding aid). If there is more than one hit, materials from your collection have probably been digitized. Click "Display Search Results" in the left column. The Browse Results page lists your items. You can change the order of the items using the drop-down menu at the top of the results. Select "item number" to sort the items into the order in which they are arranged in the physical collection. Please note that it may take a long time to process your collection. Factors affecting the amount of time processing takes include the amount and types of materials donated, and the number of already donated collections waiting to be processed. After the physical processing is complete, it will take additional time before the materials in your collection are digitized, again depending on the amount and types of materials, and the number of collections waiting to be digitized. If you have any questions about the status of your collection, please feel free to contact us.